A spreading tree with large, white, trumpet-shaped flowers at maturity. 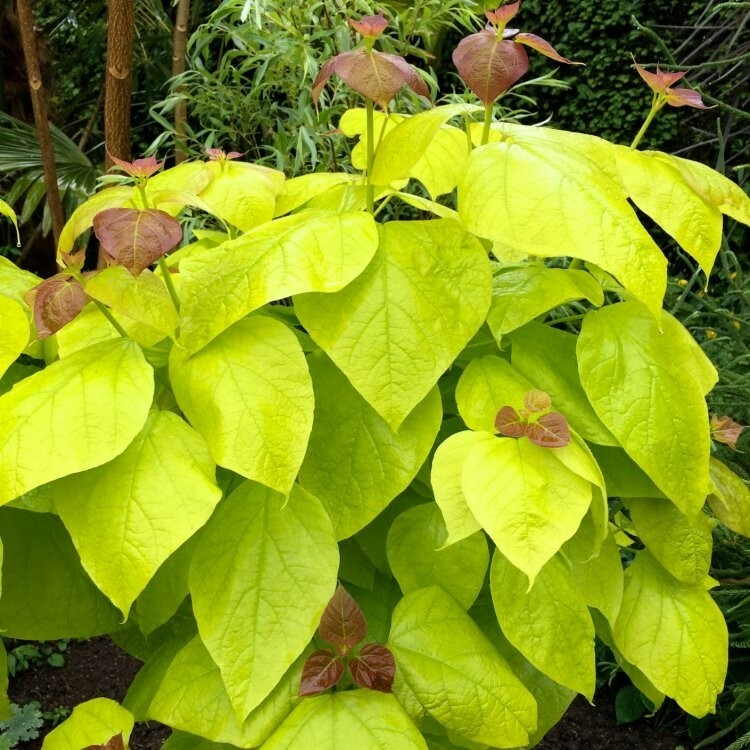 The large, golden, heart-shaped leaves turn bright yellow in autumn. As an added bonus it also wards off gnats and flies. Can be kept as a superb large shrub by pruning. Also know as Indian Bean Tree. Supplied as established plants in approx 3-5 Litre containers.